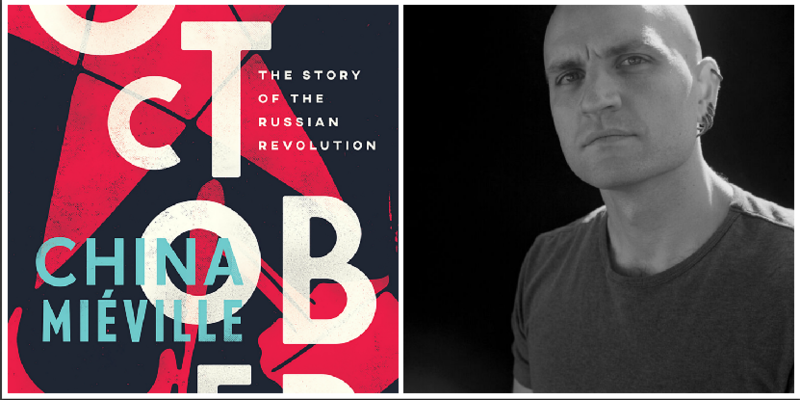 China Miéville discusses October: The Story of the Russian Revolution. About the book: Award-winning writer China Miéville has long been inspired by the ideals of the Russian Revolution and here, on the centenary of the revolution, he provides his own distinctive take on its history. About the author: China Miéville is the multi-award-winning author of many works of fiction and non-fiction. His fiction includes The City and the City, Embassytown and This Census-Taker, and has won the Hugo, World Fantasy and Arthur C. Clarke awards; his non-fiction includes the photo-illustrated essay London’s Overthrow and Between Equal Rights: A Marxist Theory of International Law. He has written for various publications, including the New York Times, Guardian, Conjunctions and Granta and he is a founding editor of the quarterly Salvage.